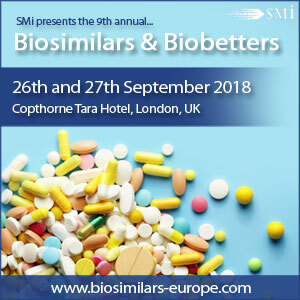 SMi Reports: An exclusive interview with Dr Michel Mikhail, an independent consultant and chairman of this year’s Biosimilars & Biobetters conference, is now available to download on the event website. SMi Group recently caught up with expert speaker Dr Michel Mikhail, International Expert in Regulatory Affairs and Global Expert in Biosimilars, in the run up to the 9th annual conference on Biosimilars & Biobetters, taking place 26th – 27th September 2018 in London, UK. Dr Mikhail has more than 25 years’ experience in the Pharmaceutical Industry and a track record of achievement in R & D and International Regulatory Affairs in large multinational, research-based pharmaceutical and biotech companies, as well as in the generic industry. He has been involved in the global development and worldwide regulatory approval of Blockbuster Monoclonal antibodies medicines, as well as shaping the EU Biosimilars Guidelines and their review, the WHO Guidelines, ICH Guidelines and recently the US-FDA Biosimilars Guidelines. He is a chartered expert in pharmacology-toxicology, a chartered clinical expert, as well as a chartered analytical expert. Dr Mikhail served on the safety working group and efficacy working group of the European Federation of pharmaceutical Industry associations (EFPIA), and as a topic leader. Dr Mikhail is a member of the expert committee of the Government Federal Institute of Risk Assessment (BfR) Germany and served as a member of the Expert Committee for Toxicology of the United States Pharmacopoeia (USP). 1. What are the key areas for improvement within the industry? There are not very many biosimilars companies that understand the US market and the correct market entry strategy. Each Market is different, the EU market where Pricing and Reimbursement is within the National competencies and is not regulated on EU level. The US having a two-step approval process: the first one is approval as a Biosimilar and the second step is approval as an interchangeable biosimilar with a one-year exclusivity for the first interchangeable biosimilar. Companies need to better understand the corresponding market and then set and execute tier development and regulatory strategy. 2. What current hot topic will you be addressing in your presentation and what would you say makes it relevant to 2018? I’ll address the ‘US-FDA interchangeability guidance – what is needed to obtain the interchangeable status for the biosimilar product’. This is a very hot topic in view of the Draft US-FDA Guidance published in January 2017. The audience will hear about the latest FDA regulatory changes towards interchangeability of biosimilars. First in line: recommendations on how to achieve interchangeability and succeed obtaining 12 months exclusivity as first interchangeable biosimilar. Discuss what will need to be done after accomplishing this to increase biosimilar uptake in patients, physicians and prescribers’ groups and non-the less the success and profitability of the Biosimilar developing company. The full interview is available to download on the event website, where you can also view the latest agenda and speaker line-up. Potential attendees can take advantage of the summer special £200 discount using the voucher code BIOUK200OFF. Please contact Alia Malick on +44 (0) 207 827 6168 or e-mail amalick@smi-online.co.uk. About SMi Group: Established since 1993, the SMi Group is a global event-production company that specializes in Business-to-Business Conferences, Workshops, Masterclasses and online Communities. We create and deliver events in the Defence, Security, Energy, Utilities, Finance and Pharmaceutical industries. We pride ourselves on having access to the world’s most forward-thinking opinion leaders and visionaries, allowing us to bring our communities together to Learn, Engage, Share and Network.